DASH diet sample menus are a great way to get a feel for the DASH diet. If you have been diagnosed with hypertension or prehypertension, or if you have a family history of high blood pressure, you owe it to yourself to check out some DASH diet sample menus and see for yourself how simple following the DASH diet can be. DASH is an acronym for Dietary Approaches to Stop Hypertension. By following this diet and reducing your salt intake you will be able to lower your high blood pressure or prevent high blood pressure in the future. 1500 milligrams is the second level of daily salt consumption. According to the Institute of Medicine this amount is an adequate intake level. It is recommended that this be level is the one that people should try to achieve. You will lower your blood pressure by reducing your salt intake. The average man in the United States consumes 4200 milligrams of salt per day. The average woman consumes 3300 milligrams daily. So there is a great deal of room for improvement. When you reduce your intake of sodium and follow the DASH diet sample menus, you can see results in as little as two weeks. The DASH eating plan does not have any unusual foods or complicated recipes. Simply eat with good nutrition in mind. The DASH diet limits your intake of saturated fats and cholesterol. It also recommends limiting your consumption of lean meats to six ounces each day. Be sure you consult your doctor before starting any diet or exercise plan. Add an extra serving of fruits or vegetables to one meal a day. Try a bowl of strawberries with your breakfast or an apple with your lunch. Drink a glass of low-fat milk to replace a sweetened drink each day. Read labels of salad dressings or other condiments to find the ones with the lowest saturated and trans fats. Choose healthy snacks like fruit of nuts instead of chips or candy. 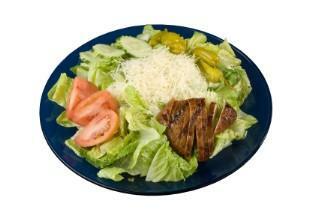 McKinley Health Center has excellent DASH diet sample menus that are broken down by calories. If you want to lose weight while you reduce your blood pressure, choose a menu with lower calories than you currently consume. Menus include 1500 calories, 1800 calories and 2000 calories per day. Add an exercise plan and you are on your way to better health! The Mayo Clinic has a three day sample menu with recipes to give you a great start with the DASH eating plan. These DASH diet sample menus will help you see how easy it is to incorporate a healthy eating plan in your life. It doesn't matter if you are trying to lose weight, control your hypertension, or reduce your chances of getting high blood pressure. The DASH eating plan isn't just some fad diet, it is a simple, healthy eating plan that anyone can do.